Last night we took them to Corky's Memphis BBQ, a place where Carolyn and I have both been to many times. The food was typically great, especially the banana pudding dessert, which the kids loves. 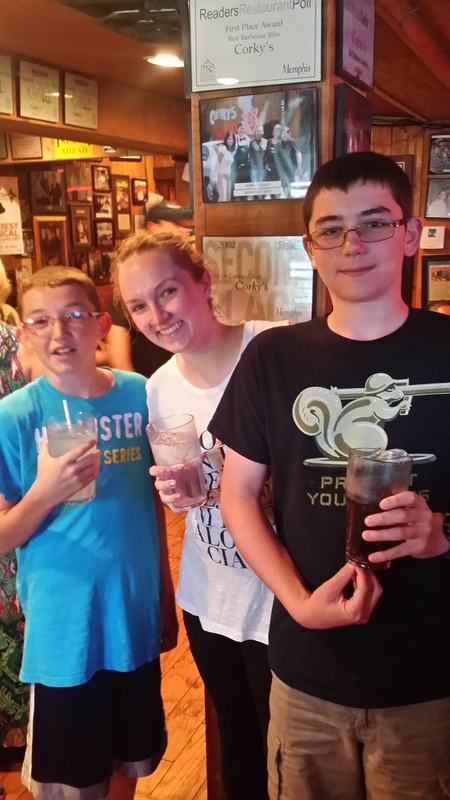 They also had a wonderful opportunity to reconnect with their cousin Emily, who just moved to Memphis and starts work this week. Today we visited the world famous Peabody Hotel downtown for the "Duck March" which was a lot of fun, and event the kids really enjoyed; so did Carolyn and me.